Last night we (ie. Jay) made veggie burgers. 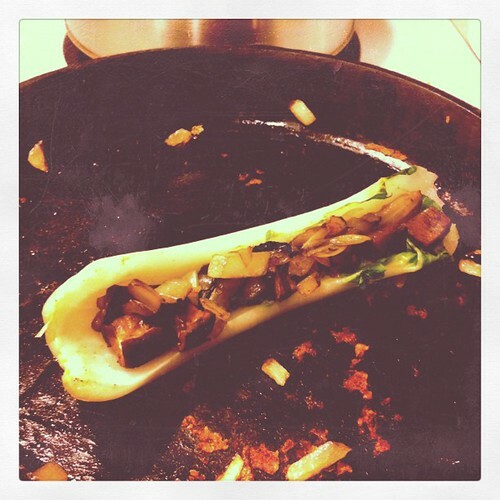 The ever-resourceful Jay took the leftover toppings and made this Ants-On-A-Log: a bok choy stem stuffed with onions and portobello mushrooms.